Our land and natural environment are similarly treated with respect. We never use chemicals, herbicides or pesticides on our farm. Our sheep and goats take care of the weeds and provide natural fertilizer. We live a peaceful coexistance with the wild predators thanks to our two types of Livestock Guardian Dogs and protective Heritage turkeys. Heritage breeds are traditional livestock breeds that were raised by farmers in the past, before the rise of industrial agriculture. Heritage breeds were bred over time to emphasize traits that made them particularly well-adapted to local environmental conditions and often to produce multiple products such as wool, meat, and milk from the same animal. Heritage livestock breeds are also a valuable source of natural genetic diversity. Because of these traits and their ability to thrive on natural, local foods the meat from these animals have unique tastes. We believe flavorful meat comes from three things – the breed, the feed, and humane care that allows the animal to enjoy its natural behaviors and live a happy life..
Navajo-Churros are a rare breed descended from the Spanish Churra brought to the American southwest by the Conquistadors. Bred for centuries by the Navajo people the sheep adapted to the hot harsh climate and provided meat, milk and lovely wool for weaving. Known as Kurobuta in Japan, Berkshires are widely recognized as the premier meat hog with intensely flavorful meat with fine marbling. Tamworths are an English breed that thrives in pastures and open air living. They are renouned as bacon hogs due to the long sides and fine grained meat. Boer goats are popular show and meat goats. 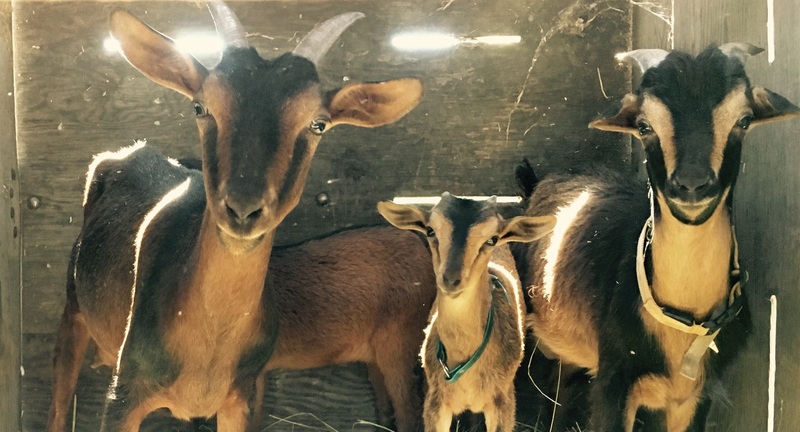 The extremely rare San Clemente Island goats are the last survivors of feral goats removed from the island in the 1980's. Once thought to be Spanish in origin, recent genetic testing has shown them to be a genetically distinct breed and completely unrelated to the numerous other goat breeds in the genetic study. We are located in the beautiful Capay Valley of Northern California. Just northeast of Vacaville. © Copyright Wind Dancer Ranch. All Rights Reserved. Design by dreamtemplate.